If your floors are looking a bit tired and the worse for wear do not despair! 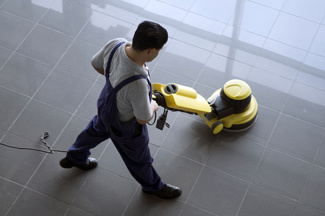 Thames Valley Cleaning has over 25 years experience in specialist carpet and floor cleaning. We have a wealth of knowledge and experience and a range of specialist machinery and equipment. We can ensure that your expensive flooring looks good and lasts longer. Regular cleaning and maintenance of your flooring is the best way to keep your floors looking their best all year round. We can assess your floors and build a cleaning and maintenance cost into your office cleaning specification and quotation, if required, or simply come and clean your carpets and polish your floors as a one off, and you will be able to evaluate our services. We own all the specialist cleaning equipment and machinery necessary, which keeps costs down for you, and ensures the experience and knowledge required for the best results. If you have a floor surface that needs bringing back to life, contact us now for a free quotation.